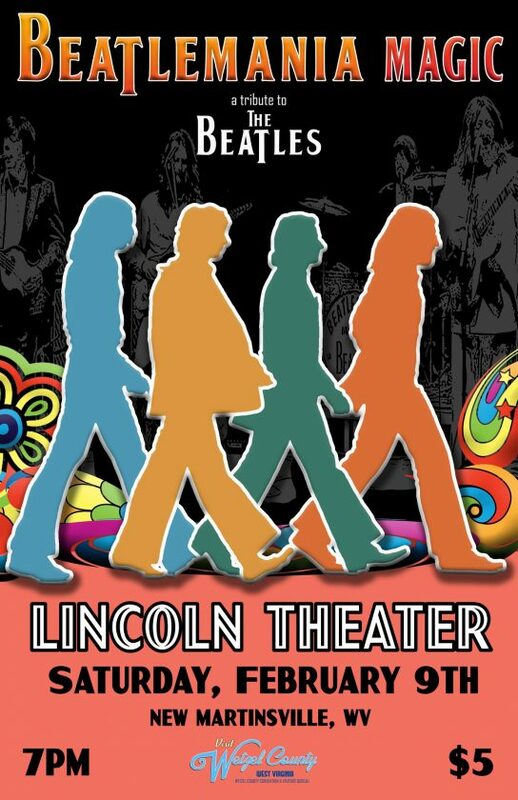 NEW MARTINSVILLE — The Wetzel County Convention and Visitors Bureau (Visit Wetzel County) will continue its prelude to the Back Home Appalachian Arts & Music Festival with Beatlemania Magic, set to take over New Martinsville’s Lincoln Theater on Saturday, Feb. 9 at 7 p.m. The concert follows January’s special Lincoln Theater performance by Michael Cleveland and Flamekeeper, and is part of Visit Wetzel County’s endeavor to offer entertainment leading up to the Back Home Appalachian Arts & Music Festival, now approaching its third year. Visit Wetzel County started such an endeavor last year, but this year the budget has increased, and the organization is excited about its scheduled talent.